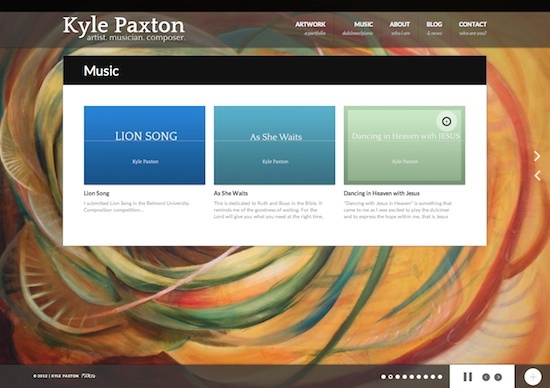 The site for Kyle Paxton was based on the Digon Responsive Fullscreen Studio theme from imaginem. 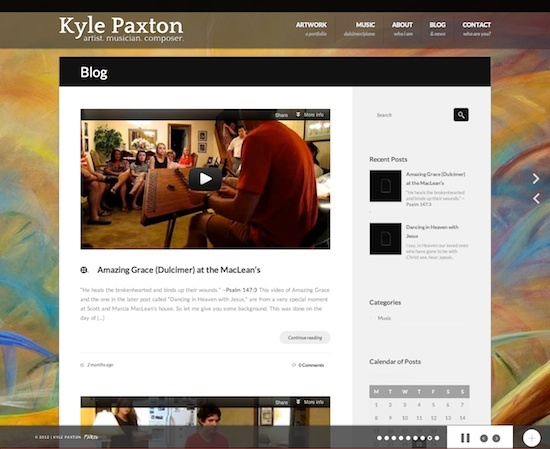 Kyle and I selected the theme the day it was released on Themeforest.net. We valued the timing of the release as the design and features fit this project quite nicely. The theme came with audio functionality for the fullscreen pages and we used SoundCloud to incorporate the rest. 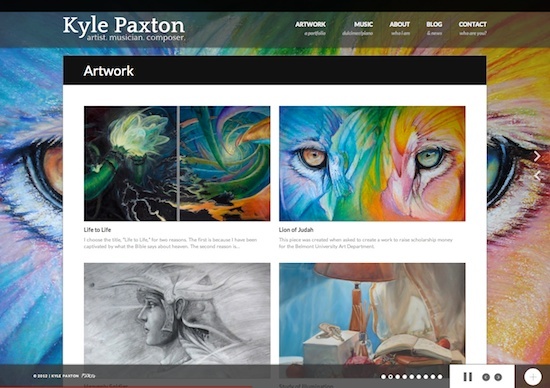 Artwork galleries and portfolio layouts showcased Kyle’s growing library of artwork. Plugins included Gravity Forms, AddThis social sharing, and the Disqus Comment System. The Recent/Popular Posts widgets accompanied the theme. 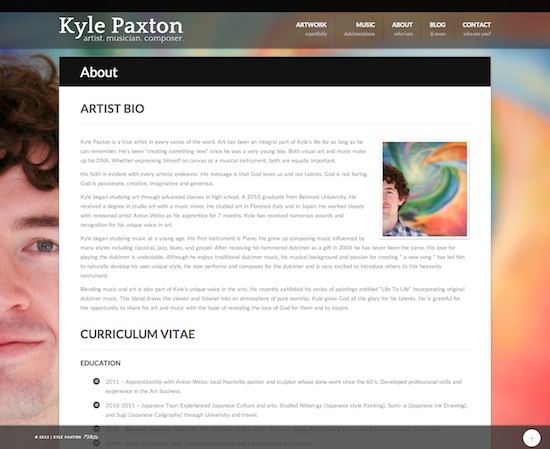 Before the website was built, I assisted Kyle with domain registration and hosting (both with Namecheap), Google Apps for individuals (email, etc.) and designed a logo after he chose a favorite font. Coaching on how to use a Facebook Page was also included along with the cover photo to help get him going. It was a delight to do. The project was completed August 2012. 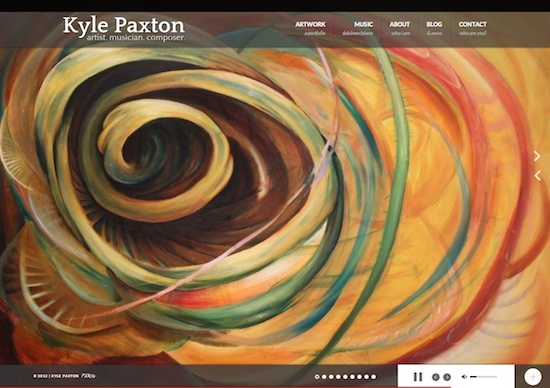 Kyle Paxton is a true artist in every sense of the word. Whether expressing himself on canvas or a musical instrument, both visual art and music make up his DNA. He's a talented Hammered Dulcimer player and composer in his own right, and his faith is evident with every artistic endeavor.